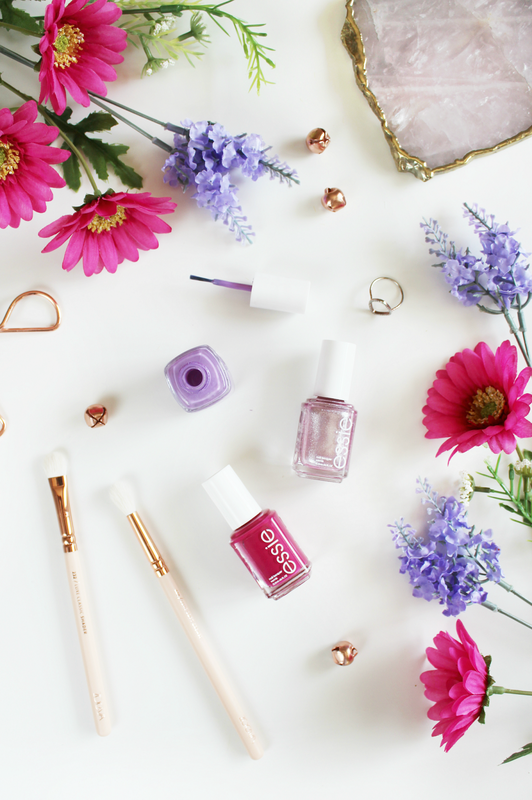 Soft lilacs seem to flatter practically every skintone and Essie has so many different varieties of this shade. My favourite for summer has been Sittin’ Pretty, a creamy baby purple with pink undertones. On it’s own, it’s absolutely beautiful, but it also pairs gorgeously with the two others that I’ve been loving as well! To add some metallic into the mix, Essie recently bought out a new summer collection inspired by Paris. The range includes six stunning shades, but my favourite is by far S’il Vous Play – a lavender pink foil with a smooth finish. This lasts beautifully all week and seems to be so versatile despite being a statement shade. I’m totally obsessed. Last but by no means least, if you love richer colours, Essie’s B’aha Moment is the most stunning pomegranate pink which is the perfect transition from summer to the early days of Autumn. This is the newest addition to my Essie collection, but I know that I’ll be wearing it lots near the end of August and beginning of September when the leaves start to change! What are your favourite polish picks this summer? Next Post Six On-Trend Beauty Staples.